TAP to SMS Text, Alarm Text Messaging, SMS Alarms, Text Message Alarm Notifications, TAP Gateway. 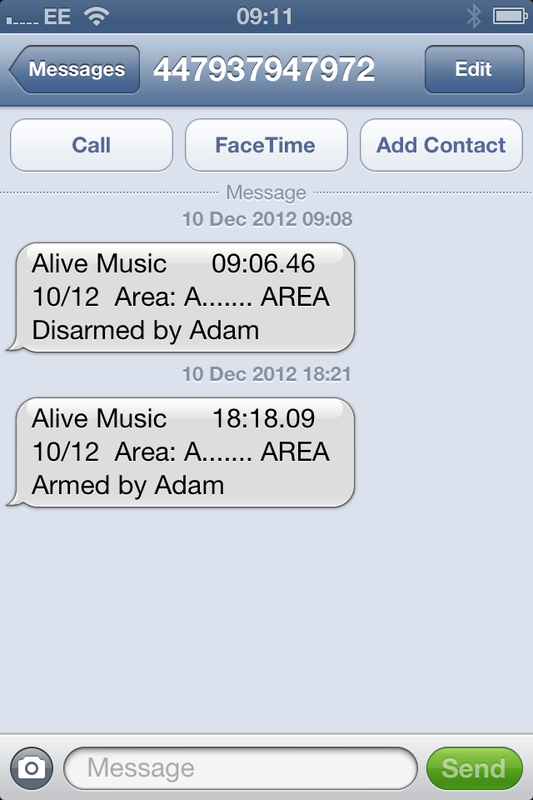 Does your security alarm system, pager or other device use TAP to Mobile SMS text message alerts? FranzCom has the solution for you! Our dial-up TAP to Mobile SMS text and email messaging gateway is completely free of charge to use, you only pay for the call to the dial-up access phone line! All you have to do is register with us, its easy! We provide a 2 in 1 service! TAP to Mobile SMS text messaging and for double backup in case of mobile network outage we have TAP to Email as well, sending you message alerts to your registered email address. So having SMS and Email alerts means total coverage up time. Genius! While your mobile carrier may not understand the importance of the need for TAP messaging in the area of security, IT network and industrial monitoring, FranzCom and our partners do! Telocator Alphanumeric Protocol (TAP) is the industry-standard protocol for submitting text messages to cellular phones or alphanumeric pagers. The sender uses a TAP software client to send messages to the OpenTAP gateway using a dial-up modem. Many mobile network and paging providers offer their own TAP gateways, unfortunately, many of them are often unreliable and unsupported by these carriers. Many carriers have either discontinued their support for TAP or never plan on offering the service. Furthermore, since each carrier has their own TAP gateway, each with its own access number, settings, and quirks, managing these separate gateways can be a hassle. OpenTAP is a reliable and fully-supported TAP gateway service that can be used to replace the cumbersome TAP service provided by your current carrier. Simply replace all of your different TAP client access numbers with a single TAP gateway access number. With OpenTAP gateway, you’ll have a single TAP access number, single protocol settings, and a single management interface to manage all of your mobile devices and message logs. NB. Calls cost a minimum of £0.50p per minute plus your telephone network provider access charge, as it only takes no more than 60 seconds to complete the call and messaging process. Calls from other networks including mobiles may vary! Can be used with fire and security alarms, paging systems, networks, and other supported devices, allowing you to receive regular reports by Mobile SMS Text and Email messaging. How do I register to use the OpenTAP gateway? First of all, you need to register all mobile numbers which are to receive text message alerts with us by clicking on the big orange register online now button. Please log into your device which supports TAP gateway messaging. E.g Alarm systems, pagers, networking device or other similar devices. Locate the TAP dial-up gateway messaging settings. Insert the following gateway access number within UK 09117329997 (intl.+448726149997). Make sure the mobiles which messages are going to be sent to are input with international country code plus mobile number without any leading zeros eg. in the UK replace 07987654321 for 447987654321, otherwise it will not work! PLEASE NOTE: Calls to 09117329997 cost £0.50p per minute, plus your telephone network provider access charge. PLEASE NOTE: OpenTAP gateway also works without having to register your receiving mobile phone numbers. By just simply inputting the gateway access number within UK 09117329997 (for international users, please input +448726149997 and remember to follow step 5 of the above mentioned). If you wish to receive email message alerts as well as text messages, you will still have to register. There is no catch and no hidden charges. We operate and manage this service by taking a share of the revenue generated by all calls made to our access numbers.